This minimalist lake house designed by (and for) engineer/architect Susanne Nobis is so striking, with clean lines and simple, graphic shapes. The overall effect is airy and modern, and the design allows for maximum views of the surrounding nature. 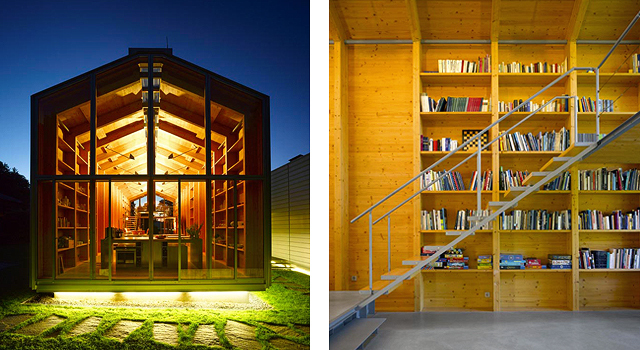 The house, located by Lake Starnberg (near Munich), is a modern reimagining of a traditional twin boathouse.